What’s stopping you from making a unique wedding invitation scroll like this one? It’s your wedding! That means it’s time to pull all the stops, roll out the white carpet, and make a unique and memorable event. Right? Great! The ideal way to announce that it's going to be a memorable event is to make an invitation card that amazes your guests and makes them look forward to your wedding. Hence, this white royal scroll wedding invitation card is one cool way to achieve this. So, again I ask, what’s stopping you? Why is this a funny wedding invitation card? As you probably know, the term "roll out the white carpet" is a common expression that means "to have a wedding ceremony." Therefore, since this card resembles a white carpet, it gives dual meaning to that expression. And this transforms the project into a funny wedding invitation card. This could make your guests start smiling long before your big day! The key to making unique cards like this is using craft-paper that is soft enough to fold and roll up without crinkling. 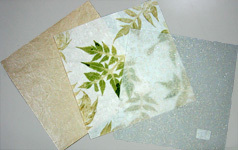 This picture shows similar craft-paper sheets that will work as well. For instance, if you're having a Caribbean wedding, this leave-art craft-paper may suit that purpose. Don’t have craft-paper like this? Then craft-cloth is another alternative. Just remember to get the right ink for that. Is it still a scroll without the support rods? By definition, yes, it’s still a scroll without the rods. However, the rods don’t just support the paper. They also add to the aesthetics of the unique invitation. There’s more on this in the card making tips and tricks below. It’s important to point out that rods are not the only way to support this or similar materials. You can use cardstock as skeletal support to add more rigidity. On the other hand, you may lose the scroll feature altogether. So... what greeting card format is this? This might seem like a trick question at first because the card rolls up. Even so, that doesn’t change the fact that it’s still a single leaf greeting card format. Use the rubber stamps with the black and red ink pads to print the invitation on the 8.5” x 11” floral paper. I used many different types of rubber stamps to create this card. This method is okay if making just a few wedding invitations. However, if making a whole bunch, it’s wise to invest in a wedding invitation rubber stamp set with an extra-large stamping block. 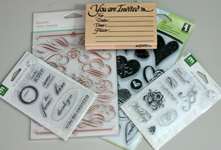 This way, it’ll take fewer back and forth inking and stamping per card. Calculate or approximate the circumference of the rod. In this case, 0.25” diameter gives 0.786” circumference. This will help to make sure the rod grips the tube you’ll create in the steps below. Cut off any excess from the top or bottom so that you are left with more than one and a half times the rod diameter. In this case, leave a 1.25” margin from top and bottom. Using half this circumference, approximately ⅜” in this case, score and fold the top and bottom of the vellum paper twice each. 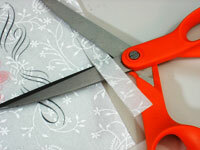 Glue this fold to close the flap and create a tube at the top and bottom of the page. Cut off excess paper from the sides as necessary. In this case, cut off 1.25” from the left and right of the paper. 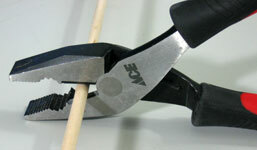 Using your pliers, cut off two wooden rod pieces of 7" length each. Pass the wooden rods through the tube ends. 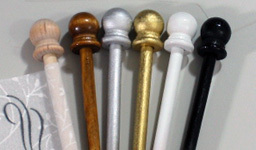 Finally, glue the wood end caps on all four ends of the wooden rods. 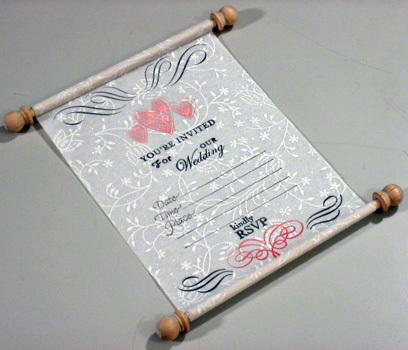 You can still accessorize your unique wedding invitation by staining, polishing, or painting the wooden rods and caps before passing the rod through the tube ends. If you’ve picked out your wedding color, this is one way for your card to match that color. So go ahead and "roll out the white carpet" with an invitation that will have your guests eager to get to your memorable event.